Why Do We Get Better At Drawing As We Get Older? Parents know this to be a simple fact of life: Children’s drawings get better as they get older. The art on the fridge slowly morphs from resembling abstract expressionism to something we recognize, maybe more like the Sunday funnies. It becomes easier to identify the objects that kids depict in their art — whether they are plants, animals, people, houses, or anything else. But how exactly does this happen? And why? To start learning how children’s drawing skills are related to their cognitive development, researchers Drs. Bria Long, Michael C. Frank, and Judy Fan from Stanford University’s Language and Cognition Lab started investigating how children between the ages of 2 and 10 drew objects of different categories. To do so, the team started collecting drawings at the museum. They set up a drawing station where kids could draw different objects. The drawing station works like this: Children and their parents sit down in front of a tablet. The program guides one child at a time through a little drawing adventure, starting with tracing a few shapes. Once they finish tracing, they move through a series of prompts where they freehand various objects. 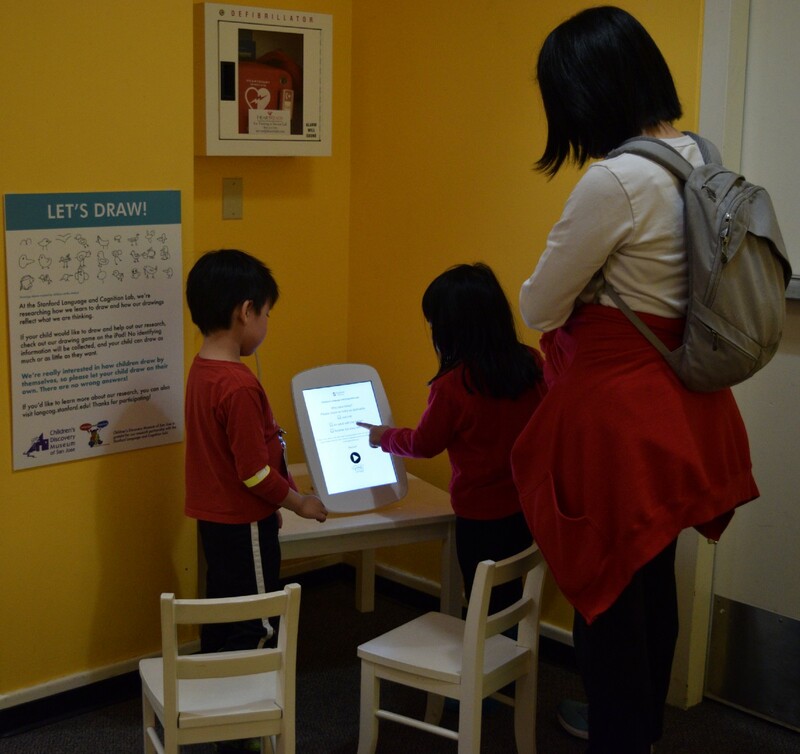 While children draw, the station saves every stroke that is made, allowing researchers to analyze the process as well as the final drawings themselves. Then, researchers use a variety of techniques to analyze how easy it is to recognize these drawings: Can we correctly identify the objects children were trying to draw? There are no value judgments made about the art; no artistic product is evaluated for its expression or style. In just one year, the team collected upwards of 20,000 drawings across 24 object categories, but they’re just getting started. They’ve also found that while children who are better at tracing simple shapes are often better at producing easily identified drawings, children’s age is still quite important. If a four-year-old who is excellent at tracing and an eight-year-old who struggles with tracing both are asked to “draw a bird,” the eight-year old's drawing is likely to still be more recognizable as a bird than the four-year-old’s. But studying children’s drawings is tricky for several reasons. “Drawing is a naturalistic task — something children already like to do — and it integrates many different aspects of cognition: both our ability to remember what things look like and our ability to translate this knowledge into a drawing,” said Dr. Long. For example, a cognitive ability we develop is learning to consider what other people may see in our drawings. 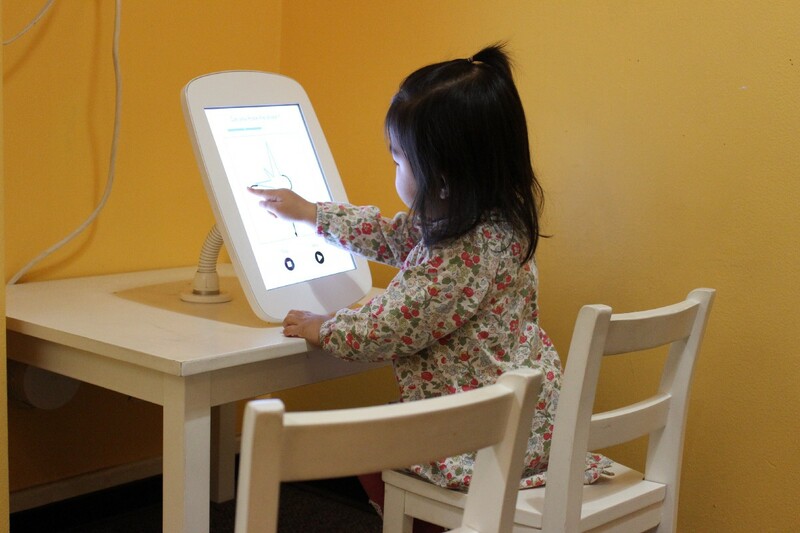 These are the kinds of cognitive developmental journeys we see every day at the museum. “The Drawing Station research sheds light on how children use drawing to communicate and represent their experiences. It also makes visible the endless possibilities of creative interpretation that are inspired by one specific prompt such as “Draw a cat,” said Heidi Lubin, the museum’s visual arts program developer. Each year more than 400,000 children & families enjoy our award-winning, hands-on exhibits and programs with a focus on science, humanities, performing arts, and health. The themes of community, connections and creativity inspire self-directed exploration and play-based learning.